Just a few days ago, the Me Too campaign that has gained immense momentum in Bollywood, has started to spread like wild fire amongst the South film fraternity too. 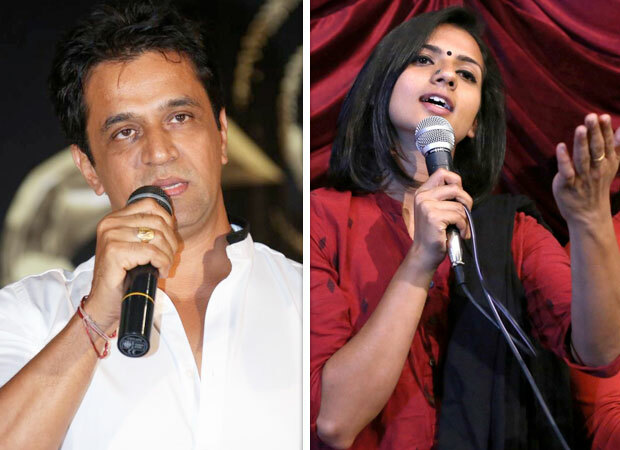 After actress Sruthi Hariharan accused South superstar Arjun Sarja of sexual misconduct, the actor immediately responded to the allegations adding that he has worked with many female actors and not any of them by far has levelled any such charges against him. Now, reports have that the continuous allegations has irked Arjun and he has filed a defamation case against Sruthi for Rs. 5 crores. But before approaching the court, reports have it that, the Kannada Film Chambers of Commerce did try to bring about a settlement between the two parties. Present at the guild’s meeting were some prominent personalities from the industry like Senior filmmaker Ambarish, Congress MLA and filmmaker Munirathna amongst others and the meeting was conducted amidst the presence of KFCC President Chinne Gowda. Despite several discussions and arguments, the KFCC eventually realized that both parties have remained firm on their respective stands and will not be arriving at a compromise or settlement any time soon. In fact, Arjun Sarja has went on to move the court and has filed defamation case against Sruthi Hariharan, Although he has refrained from divulging details on the same owing to the matter being under subjudice, the actor did firmly assert that conciliation with Sruthi will never be possible. Expressing how intensely hurt he is over the allegations, Arjun spoke about how his fans and family too are under immense pain owing to such horrendous accusations against him. He concluded that he doesn’t want anyone to be sacrificed over this and hence he wouldn’t be compromising on this matter. Arjun has also maintained that soon the names of the people who are behind this campaign against him will be revealed. On the other hand, Sruthi Hariharan has questioned in reports as to why are women always victimized in such situations and she also asked the need for her to apologize considering that she is the one who faced the problem. Hearing on the case is yet to be scheduled. Speaking of the case, Sruthi Hariharan had accused Arjun Sarja of touching her inappropriately when they were doing a romantic film two years ago. She had also alleged that he made lewd remarks on her whilst shooting for the same.